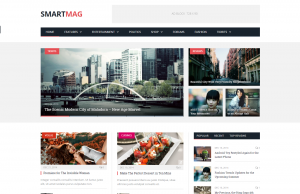 The Elegant Themes author created Extra, a premium news and magazine theme, powered by a custom page builder, called the Divi Builder. This template comes with plenty of customizable features and elements. Extra is a beautiful theme, with many sliders, effects, and animations you can use to create an attractive website. 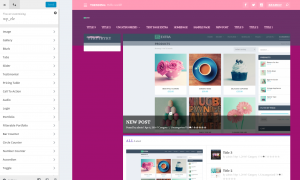 Even if you use a dark or a light version, this theme is crafted to emphasize customizable posts. The header and the logo are animated, making your website more visually appealing. Extra brings you twelve custom layouts and a library with predefined portfolio styles, with text and images. Portfolios are post projects that can be displayed using different sliders. 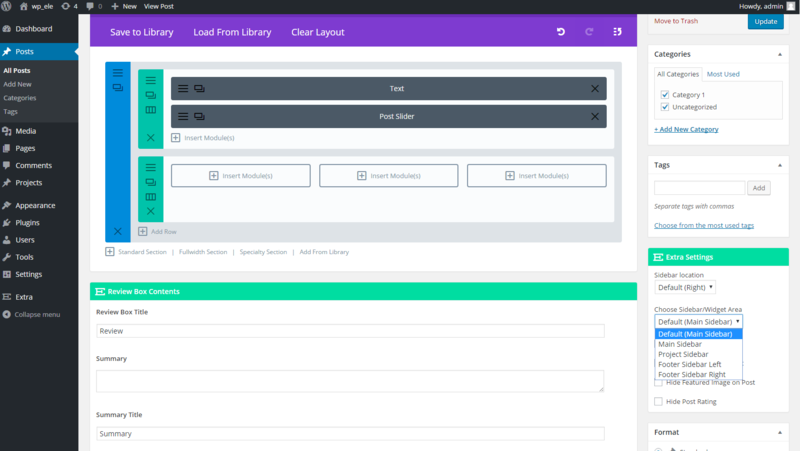 With the custom builder, you can design each category using modules, sliders, masonry grids, ads, and more. An interesting feature refers to the way the embedded video can be played directly on the page, without opening the post itself. The mega menus can be set up to display on posts, pages, and categories, as lists, or featuring 2 or 3 posts. A sitemap can be created using a page template so that your website’s visitors can easily navigate through your content. To add functionality to your site, you can use the most powerful tool of Extra, the drag and drop ‘Divi Builder’. 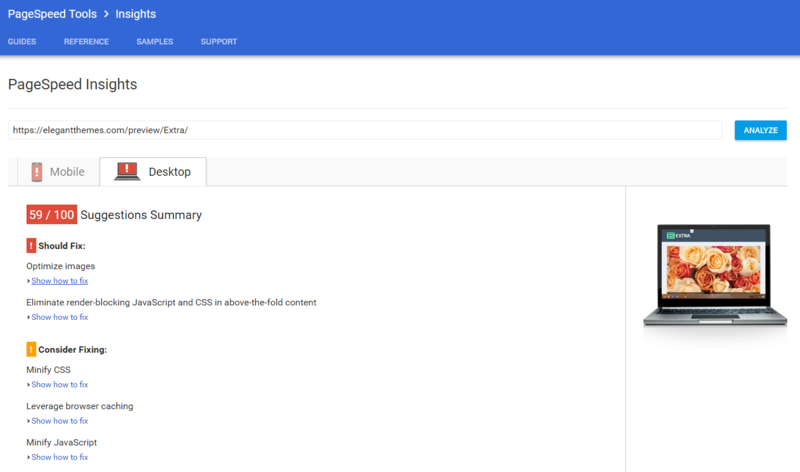 Using this, you can create multiple homepages and category layouts by adding columns, modules, and various elements. You can customize each post and page, create new layouts from scratch and save them to be used later, in other projects. Inside the Extra Theme Options panel, Theme Customizer, Module Customizer and Role Editor, you will find plenty of options allowing you to control all your website’s content and structure. The ‘Divi Role Editor’ is placed in the Admin area and is a useful tool for websites with many co-authors. Here you can assign custom settings and rights for the administrator, editor, author, and contributor. 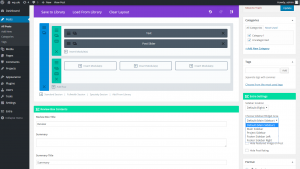 As an admin, you can set how your co-authors use the builder. If you want to use your website for selling products, you can use the Woocommerce plugin as it is compatible with Extra. Other suitable plugins are BuddyPress and the bbPress forum. Extra has a flexible Ad system that lets you insert ads in different website areas. In our era, time has become a precious commodity. We value a product by the benefits it offers, but we also judge it by the speed delivered by its output. We have tested Extra’s default demo on different page speed tests, and it loads the content is medium. The theme has many options, though, they appear scattered in three different panels. This kind of arrangement could be useful to advanced users, but overwhelming for beginners. 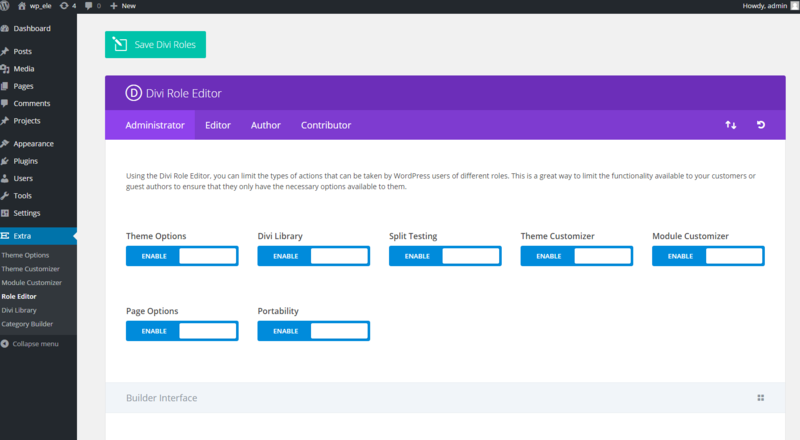 If you have never worked with this theme and with the ‘Divi Builder’, Extra is pretty difficult to learn. The theme’s documentation is rich in information but has no search option, and this makes the process setup time consuming especially for new users. 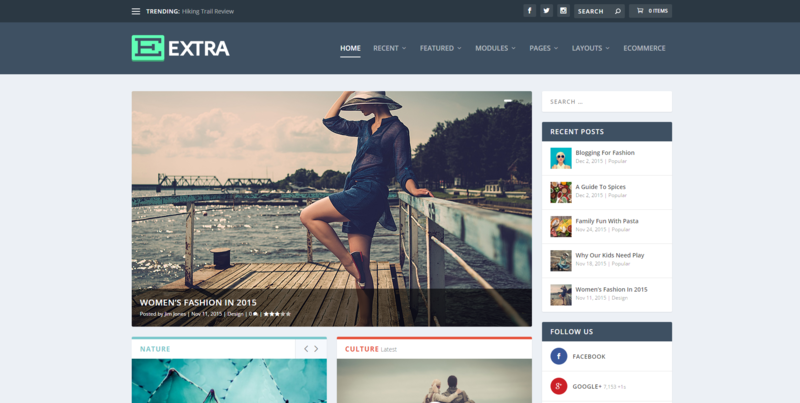 Extra is a sophisticated theme, with lots of features and functionality given by the custom builder that doesn’t require coding skills. 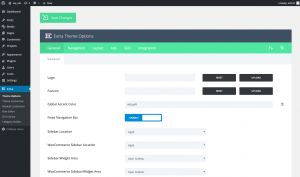 Extra comes with plenty of modules, layouts and custom designs making this theme a flexible and interesting one. 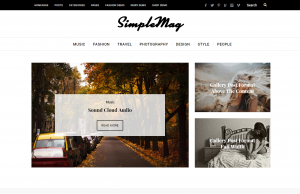 This template can be purchased only from the Elegant Themes website. 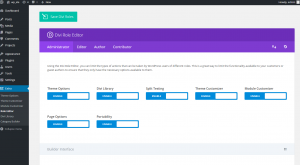 In the Lifetime Access package, the author allows you to use all their themes, for as many websites as you want with a single license code. Even if Extra’s documentation has no search option, the author provides explicit video tutorials, detailed explanations and screenshots. Great, thanks for the review. I needed to know what theme is faster Divi or Extra. The 320kb difference is pretty huge almost double. Thanks for that. Hi Oliver, Thank you! We are happy to read your feedback on our review :).